If you have every read our blog before, you know the benefits of employee uniforms. They help promote teamwork and increase productivity, they help boost morale, and they help improve the look of your business. As they say, image is everything in business! This is true no matter the business, from Fortune 500 companies to local plumbers and concrete companies. Concrete paving and masonry is tough work. Your employees need high-quality uniforms that are not only visually pleasing, but also durable and up to the challenges your employees face day in and day out. But this is just the beginning of what uniforms can do for your business. When your employees are in the field, they represent you, they represent your business. So doesn’t it make sense to ensure your employees represent you in a positive way? This is just one of the many ways uniforms and uniform rental can benefit concrete companies. Branding is another. 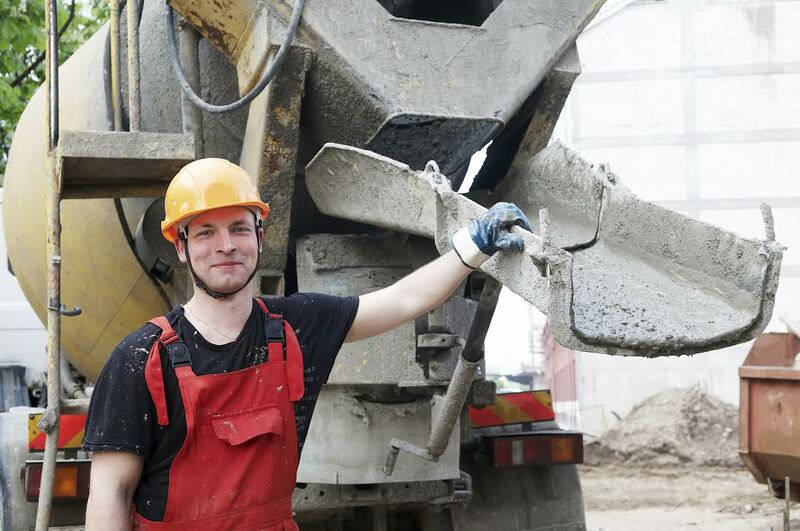 When your employees are working, passersby can either see a group of random guys building a beautiful retaining wall or they can see highly-qualified employees of XYZ Concrete Paving building that retaining wall. Which one do you think is better for business? When your employees wear uniforms in the field, they not only look more professional, but they essentially become walking billboards. Now, when those passersby decide they want a new retaining wall, driveway, or patio, they know who to call. Ca-ching! Of course, uniforms start to show their age after a while, which can detract from your employees’ appearance. Even the best uniforms develop issues as a result of age. And when you opt for uniform rental, repairs – missing buttons, broken zippers, holes in pockets, and more – as a result of normal wear and tear are covered as part of your rental agreement. Then, when a uniform has reached the end of its useful life, your uniform rental company will replace it for you. What could be easier? Click Here to learn more about the benefits of uniform rental. Lord Baltimore Uniform has been providing reliable, cost effective uniform rental service to concrete companies for the past 40 years. As an independently owned, local business, we understand your needs and are confident in our ability to provide you with service above and beyond uniform rental industry standards. Lord Baltimore offers proven, dependable solutions that will help your business succeed. To learn more about How Concrete Companies can benefit from Uniform Rental, please contact Joe Bateman at 800-292-1224 or visit LordBaltimoreUniform.com. We also handle towel rental for gyms and salons; apron, towels, and uniform, shop towel, fender cover and mat rental for manufacturing and automotive industries. You can also follow Lord Baltimore on Facebook, Twitter, LinkedIn, and Google+. This entry was posted on Wednesday, June 18th, 2014	at 1:47 pm	. You can follow any responses to this entry through the RSS 2.0	feed. Both comments and pings are currently closed.